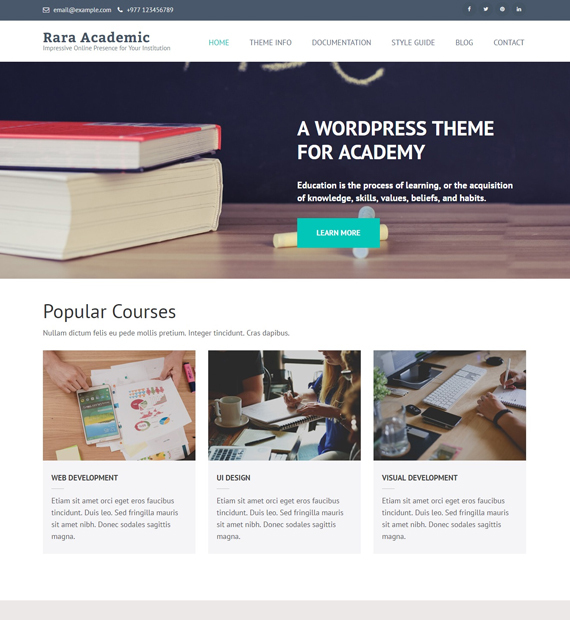 Rara Academic is a multipurpose Education WordPress theme with colorful design and stunning flexibility. This theme is perfect for college, school, university, training center, academy, primary school, high school, and other educational institution. This mobile-friendly theme comes with inbuilt features like banner, courses, call to action button, and testimonial section. Moreover, you can also display phone number display and social media page buttons on the header so that the students can contact you easily.